This ring is part of our ‘Cridhe’ collection, meaning ‘heart’ in Gaelic, and is made exclusively by Love from Skye on the Isle of Skye. 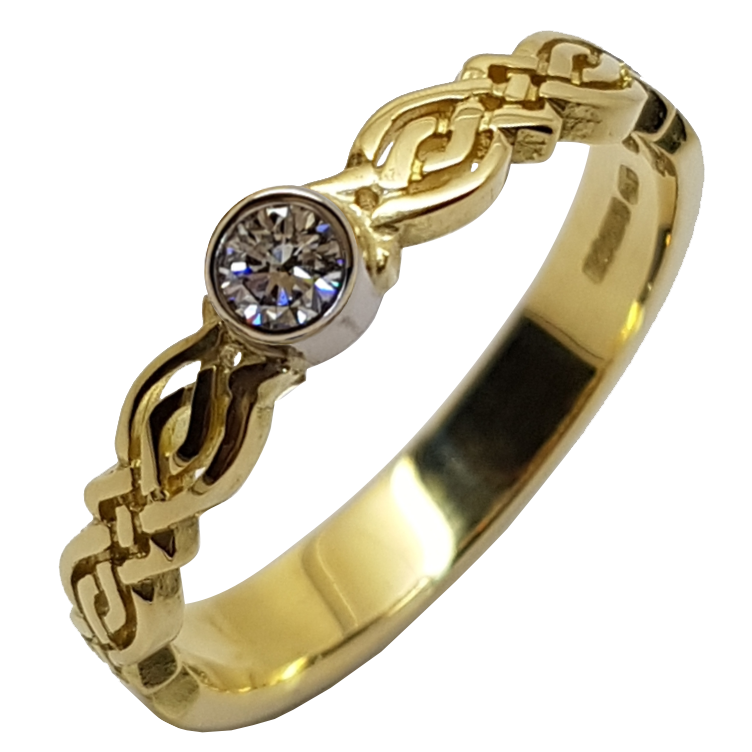 This narrow, open knot-work band (measuring 4mm) is set with a 20pt (1/5 carat) diamond. 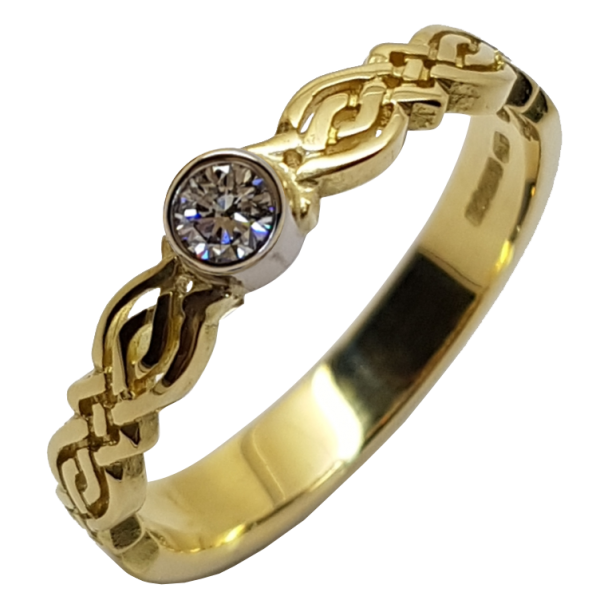 This design can also be purchased with our C/R1 Cridhe ring as a wedding and engagement set. Please note that once you select options (such as size & metal), prices for your chosen selection will be shown. All our Celtic knot-work rings have a plain section which allows your ring to be re-sized in the future and adds strength and structure to the design. For more information about the range of stones and metals we work with, please see our Options and Finishes. My fiancee is over the moon with her platinum and diamond Cridhe ring! It is exactly her taste and style, and she loves that it was designed and made on her favourite island. Bryony was very patient and gave me a lot of helpul advice when ordering the ring. I am most grateful to Paul for pulling out all the stops in order to make and deliver it in time for Christmas. Thank you to you both, and to Annie at Love From Skye for the excellent customer service. 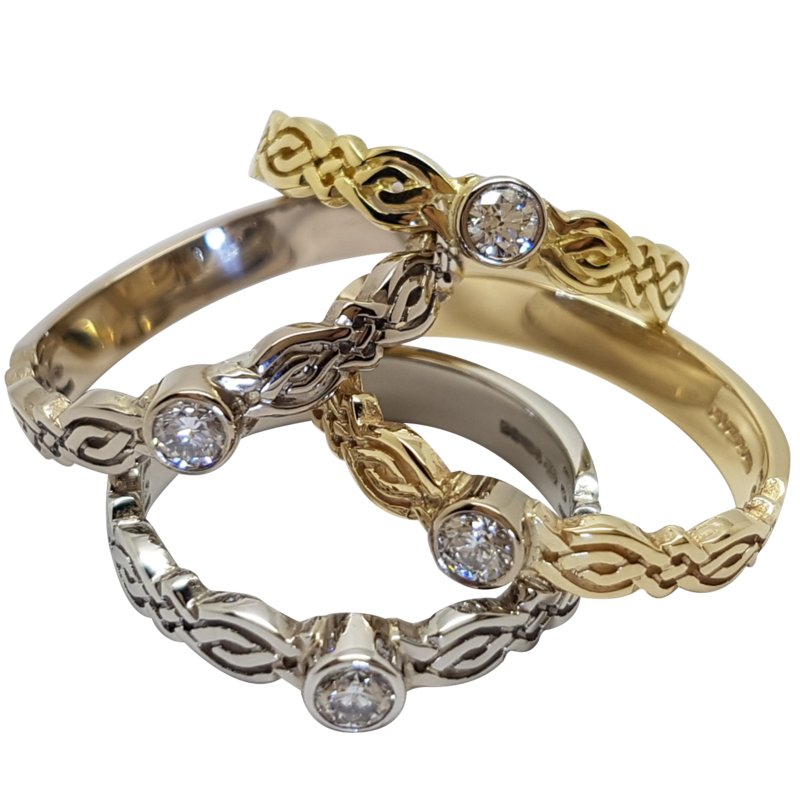 We will definitely be ordering the matching wedding band as it will perfectly complement the engagement ring.